iPhone 6s Price, Review, Deals, Cost, & Sales! 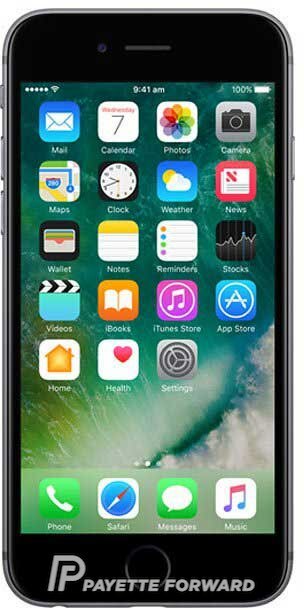 Home / Compare Cell Phones / iPhone 6s Price, Review, Deals, Cost, & Sales! With the iPhone’s first 12 MP camera, the iPhone 6s combines a professional quality camera with an incredibly powerful smartphone. The display of the iPhone 6s is 4.7” across diagonally. Like the iPhone 6 before it, the iPhone 6s has a stunning Retina HD display and a special coating that helps prevent fingerprint stains and smudges. The iPhone 6s was the very first iPhone to have a 12 megapixel (MP) camera, an upgrade from the 8 MP of the iPhone 6. This camera is also the first iPhone camera capable of recording 4K video, which it can do at 30 frames per second (fps). You can also record 1080p HD video at 30 and 60 fps. The iPhone 6s is currently available in two different storage capacities: 32GB and 128GB. Apple used to offer 16GB and 64GB versions of the iPhone 6s, which they discontinued at the same time the iPhone 7 and 7 Plus were released. The speaker on the iPhone 6s is located at the very bottom of the iPhone to the right of Lightning port, making it great for making phone calls using speakerphone. Making an effort to reduce their carbon footprint, Apple made this speaker’s enclosure with 30% more recycled plastic than previous models of the iPhone. The iPhone 6s has Touch ID, which can be used to confirm app store purchases, unlock your iPhone, and a lot more. Your iPhone 6s can scan your fingerprint using a small sensor built into the Home button! The iPhone 6s is built with an A9 chip, an upgrade from the A8 chip used in the iPhone 6 and 6 Plus. According to Apple, the A9 chip’s processor is about 70% faster than that of the A8 chip. The A9 chip also has a 90% faster GPU than the A8 chip. To put it simply, the iPhone 6s is designed to be much more powerful than the 6. The iPhone 6s has an incredibly long-lasting battery life. You can enjoy 11 hours of internet use over Wi-Fi, 11 hours of HD video playback, 14 hours of talk time on a 3G wireless network, or as many as 50 hours of audio playback.